. 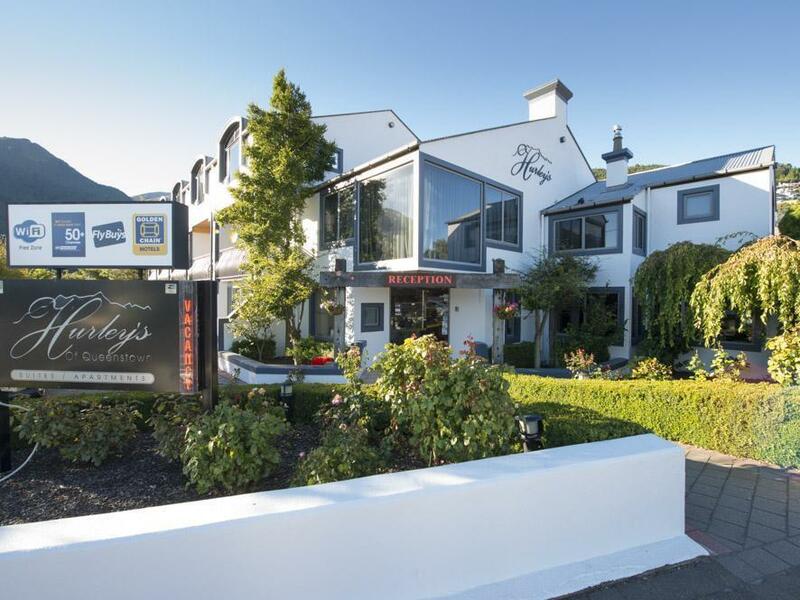 إن الخدمات التي يقدمها Hurley's of Queenstown Motel تضمن للنزلاء إقامة مريحة. يقدم الفندق مرافق مخصصة لذوي الاحتياجات الخاصة, تسجيل وصول/خروج سريع, تخزين الأمتعة, واي فاي في المناطق العامة, صف السيارات لضمان الراحة القصوى لضيوفه. ادخل إلى واحدة من الغرف 22 وتخلص من عناء نهار طويل بمساعدة مجموعة كبيرة من الخدمات كمثل تلفزيون بشاشة مسطحة, سجاد, قهوة فورية مجانية, اتصال لاسلكي بالإنترنت, اتصال لاسلكي بشبكة الإنترنت (مجاني) الموجودة في بعض الغرف. سواء كنت من محبي الرياضة أو كنت تتطلع لتفريغ عناء نهار صعب، ستجد خدمات ذات مستوى عالي بانتظارك كمثل مركز للياقة البدنية, ساونا. 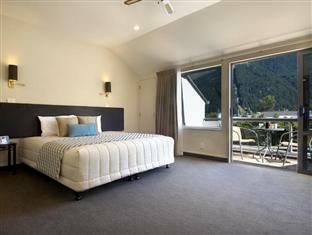 استمتع بخدمات لا يعلى عليها وعنوان ذو اعتبار في Hurley's of Queenstown Motel . We loved our time spent at Hurley's. It was an easy 5 min walk into the heart of Queenstown. We were in a two bedroom apartment room - which was spacious, had a great kitchen and comfortable living area. There was off street parking for our car, and the wifi was excellent (much to my kids joy!). The managers were friendly and helpful. I'd highly recommend staying at Hurleys if you're looking around. Very friendly and helpful staff, even helping to fix my baby daughters rattle which needed some new batteries. 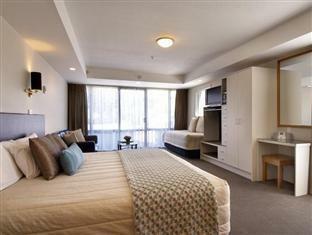 Comfortable room with a small kitchenette and a good size bathroom with powerful shower. Location is just outside of town up a steep hill but this is a ski town so hills are to be expected, so don't let that put you off. There is also a small gym and sauna on site but due to time we weren't able to use. In all a perfectly adequate motel and is recommended. Hurley 's of Queenstown is one place you would want to come back to. The place is situated well and is only a 5 minute walk to yhe city center. Across the motel is the magnificent view of the lake. Beside the good location , the staff is very accommodating and helpful and would extend any extra need or advise a guest would need. 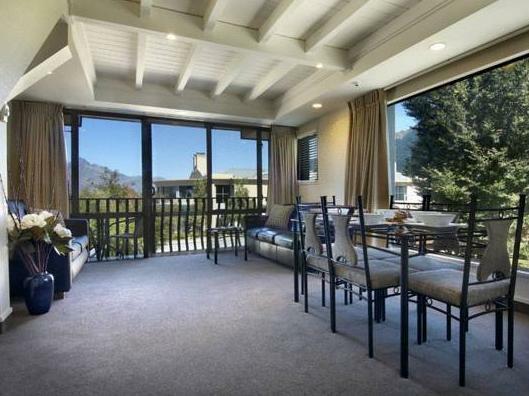 Any chance i vould to be in Queenstown, Hurley 's would be thr place i would condider on staying in. We stayed for five nights and loved staying at Hurley's. The room was modern and comfortable,especially the large bed. The patio with mountain views was lovely. The room was well heated and we didn't even need the portable heater. The bathroom was clean and well equipped as was the kitchenette. Overall Hurley's was a lovely place to stay! The only downside was the uphill walk to go home each night after being out in town haha! The place is clean, functional, and has well-equipped kitchen in room. Free WiFi is very good. They can let you have the room at 12noon, which is much appreciated. The room was basic, not glamorous, but is decent and clean enough for your comfortable stay. Though not near the city centre, but with the ConnectaBus stopping almost a few steps away, transportation is not a problem. Good to have a moutain-view room. We had a large room with a view of the gondola. This was our second time at this hotel and would recommend it. Our room was of a good size with a lovely outlook to the gondola. There is free parking available and it is a short walk into the centre. Free wifi is a bonus and one thing which is a must these days whilst travelling. DVD player in room, Large room, well located. Nice staff, definitely not a bad hotel and with a bit of modernisation, it could be a really nice hotel. I would def recommend to stay here for the pricepoint, as it is not too far to walk to city centre and it is a well equipped place. Staff very helpful and friendly. Room did not have outlook because paling fence on balcony edge to aid privacy to room but gave very closed in fell. Room clean and adequate in size. Some traffic noise. My friend and I spent 2 nights at this hotel recently. The staff were helpful and friendly. Laundry facilities and the extra touch of the availability of a clothes drying rack made life that bit easier. The location was good with only a 7 minute walk into the town centre and supermarket. Free wifi was available but limited to 100 mb per day which was enough for us. Cooking facilities on room. I loved the stay. parking was a bit tough coz it was full always. also no one to help heave the heavy boxes we had upstairs. But just loved the view and enjoyed the balcony and kitchen and dining. its a nice place. Was a bit noisy but that was due to other guests and nearby neighbours at a busy time. 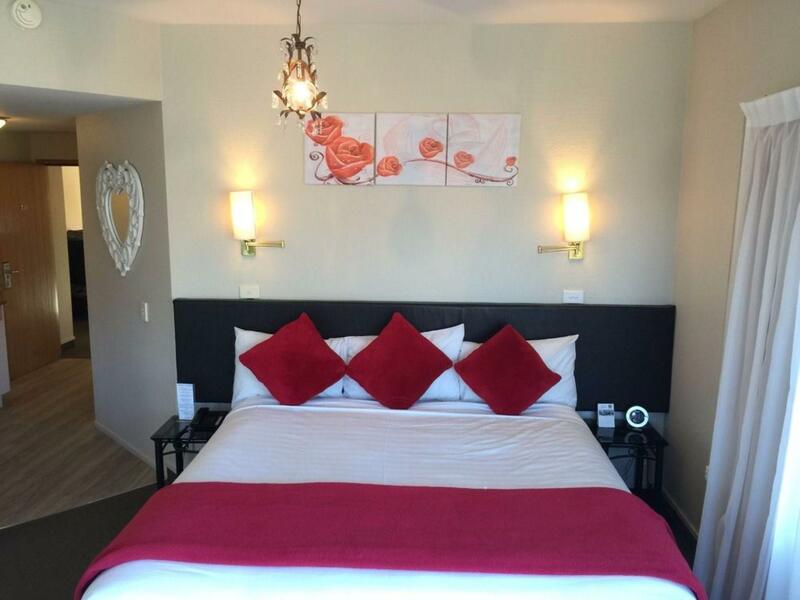 Great facilities and reasonably close to the town centre. Free wifi for the duration of the stay should be standard though. We spent altogether seven nights at the Hurleys and loved every minute of it. We want to say thank you to Erica for being extremely helpful and going in out of her way to keep our baggage while we were travelling and making it easy to return even when the reception was closed. The facilities are lovely, the gym is pretty good and the sauna new and clean. We loved every single thing about this little hotel and would certainly go back. Thank you eveyrone. Good exercise if you walk into town as the journey back is all up hill. The motel has cooking facilities if you want to save money and are fed up of eating out all the time. They also had a gym and laundry. The bed was very comfortable and the area was quiet. We were made to feel very welcome. Although it is with Quality Inn brand, but it is totally operated by the owner, its design and selection on rooms' decoration, furniture, leather sofa, beds,...,showed the owner's elegant taste. That make you feel very relax when you check-in and very comfortable after you stay in. And the view of each room is great, especially on the early morning. 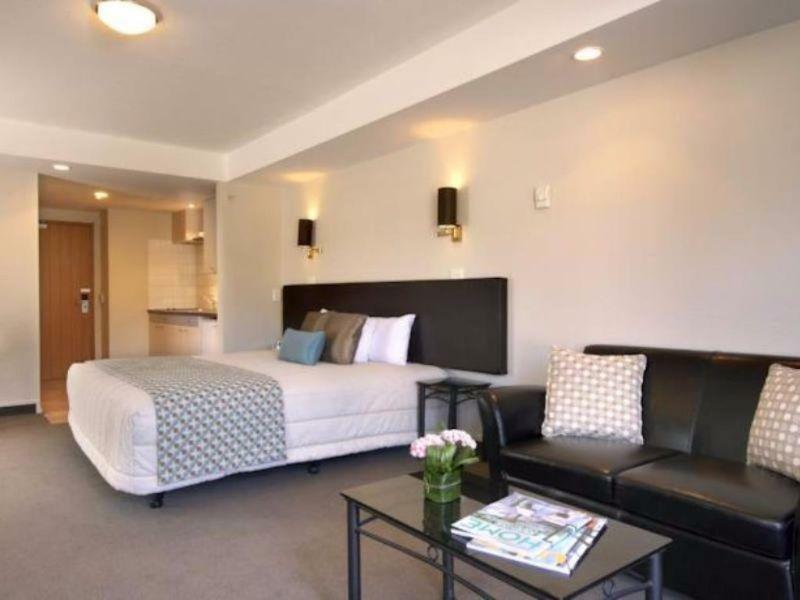 this hotel is very centrally located within 5 minutes walking distance of queenstown shopping precinct. the staff were very friendly and provided very good information on the location of tourist attractions, eateries etc. they even took the time to walk us to our room which is most unusual these days. highly recommended. 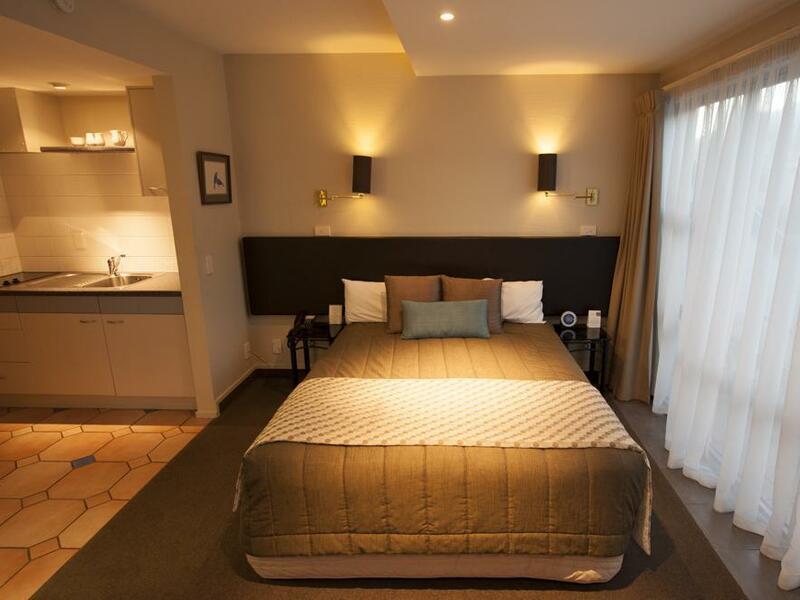 A good and cosy hotel located within 5 minutes walk to the Station Information Centre. Though the hotel Staff mans the reception from 8 AM to 8 PM, the Staff ensures for prebooked personel,they will make themselves available to check in and check out travellers outside these times. the hotel is at the edge of the city. it is walking distant to the points of interest in the city. the room is spacious and clean. the staffs are very helpful and informative. the stay in this hotel had made us very presence and comfortable. it is just like at home. A great hotel in a great location just a short walk from the centre of the town and lake. The room was very nicely furnished and spacious and had a nice little kitchen. The owner of the hotel was very friendly and helpful and there was plenty of parking spaces. I would definitely recommend staying in this hotel.